What a fantastic location Zebedee Springs in El Questro is! These two shots were taken with my 90mm Macro lens. 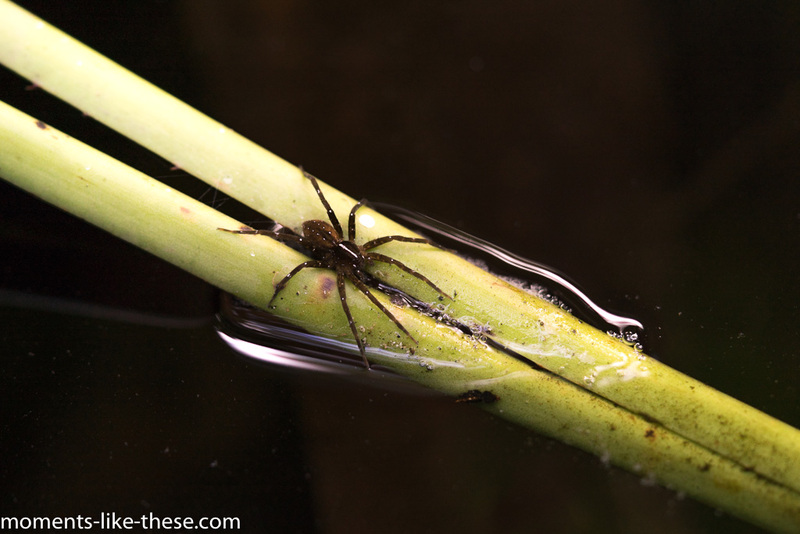 The one of the spider sitting on the stem at water level at 1/250th and f2.8 with ISO 160 as I didn’t want any depth of field at all. The one below of the wonderful palm fronds having the same settings. Some more pictures of the day can be seen on Google Photos. We had a much needed rest from the hot sun back at El Questro and I grabbed this image – it’s quite a common outback image. Abandoned rusty vehicles! This entry was posted in Landscape, Nature, Photography, Trips and tagged 2017, A7r, Australia, ferns, spider, truck, Zebedee Springs.